Last week was Christmas Day and today is the first day of the new year! Wow! Retail Review has fallen on two pretty significant holidays... but that doesn't stop the Retail Review train, it just keeps on coming! 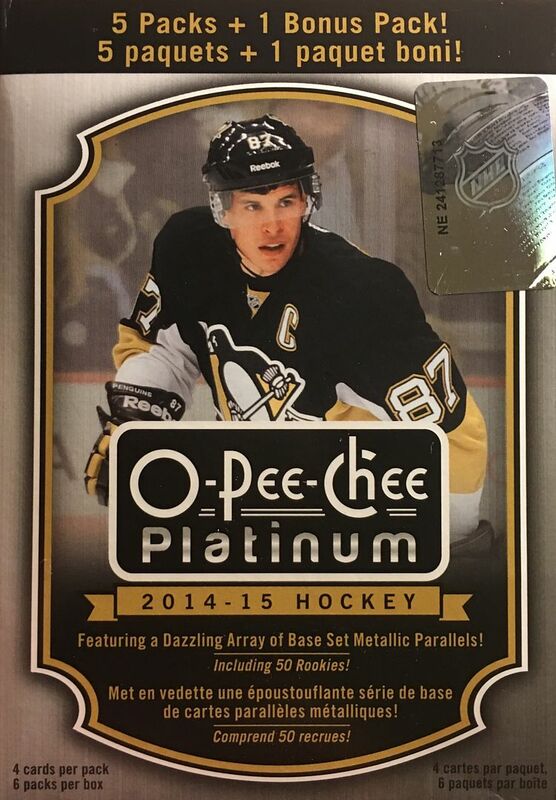 This morning I've chosen to open up a blaster of 14/15 OPC Platinum. Hopefully I'll get some cool stuff to start off the new year! There really aren't too many packs in these blasters, just six. I'd call OPC Platinum an upper mid-range product as the cards are quite high quality. 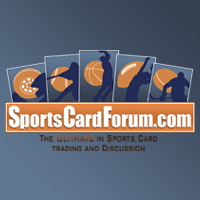 Each card is fully foiled and has a thickness to them that stands out. They are by no means on heavy stock like Ultimate Collection, but they do have a heft. Sadly, the thickness of the card doesn't stop them from bowing quite a bit. I'm sure many of the cards out of the packs will have a bow to them. In terms of my chances of getting a hit, they are pretty low. I should, however, be able to snag a couple of parallel cards from the box. OPC Platinum did offer up a nice suite of parallel sets for collectors to find. Hockey collectors don't seem to be as keen on parallel cards as collectors of other sports, but I still find them interesting and I'll be looking forward to seeing who I get today. This blaster was a nice break. It was a nice surprise to find a few more parallel inserts than I had originally expected. On top of that I was able to get a nice retro card of former Shark Antti Niemi and a nice handful of rookie cards. I enjoyed the cards out of the blaster even though there was no hit to be found. The design of the cards are nice and the player selection was right up my ally! 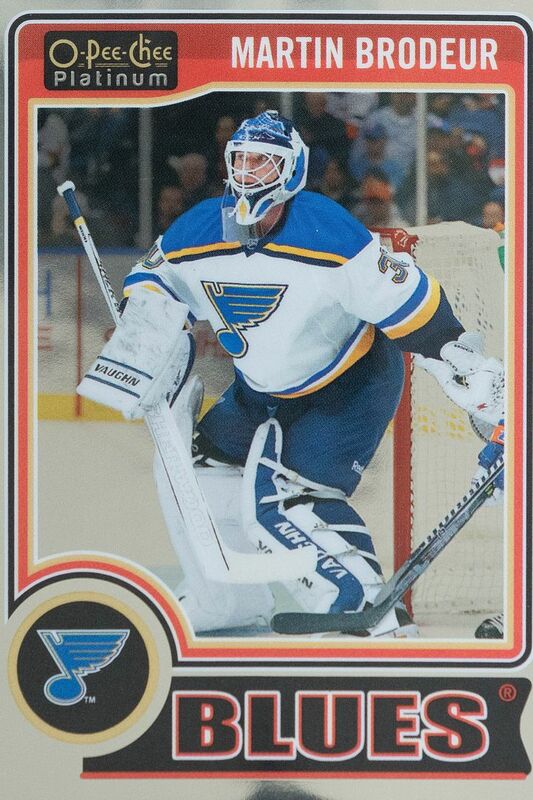 I like how Brodeur is a Blues player on this card. It's totally different and unique. I also like that Upper Deck made this the first card in the set. They definitely wanted this card to be a stand out from this set. I feel like I've pulled this card a few times before, but it's still a good one! 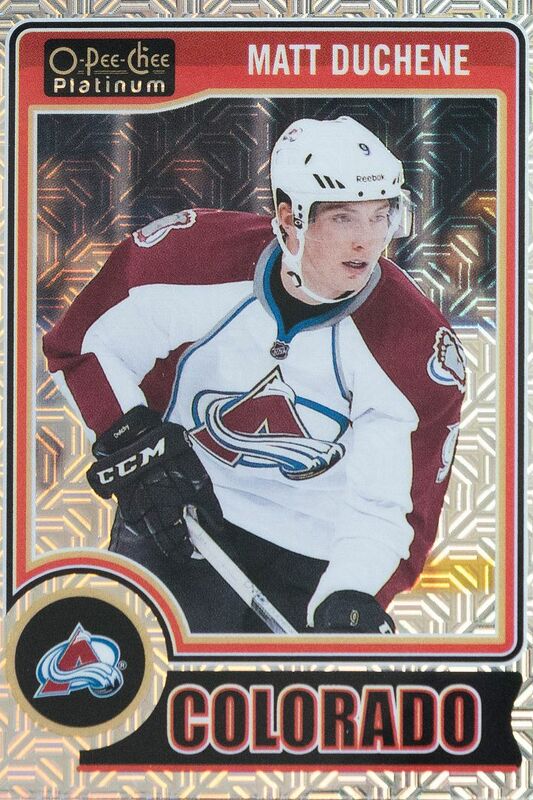 Duchene is a great player and this was the most unique parallel card I was able to get out of this blaster. 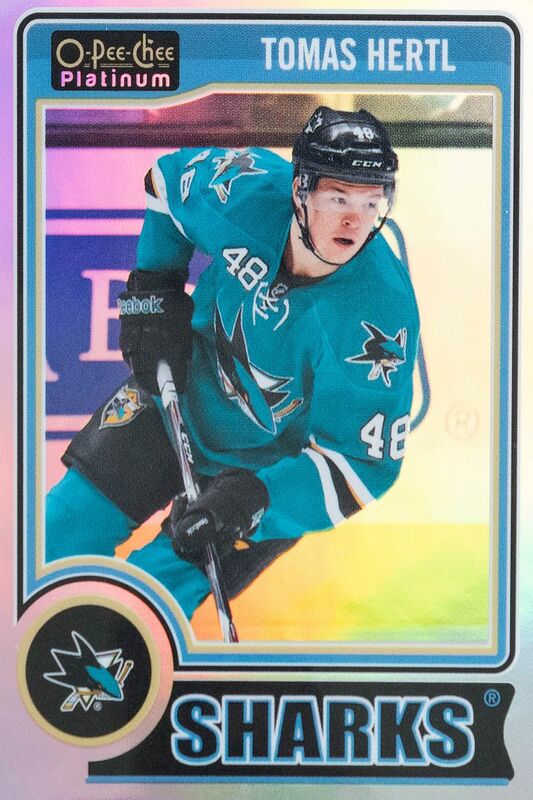 This parallel of Hertl was in the last pack I got, and I'm glad I was able to pull it. 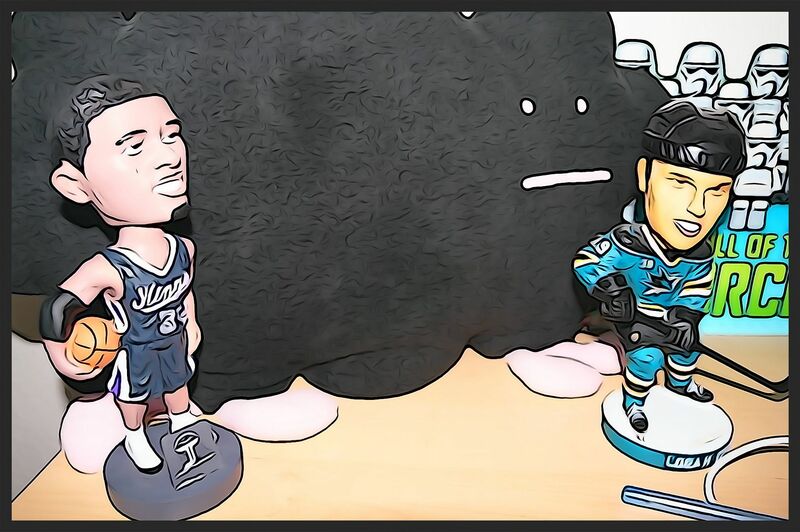 Hertl is a good Shark to get. He's a funny personality and has shown to have skill on the ice as well. OPC is a brand that's build is more suited for other sports, but it's nice that hockey has a brand of this nature as well. 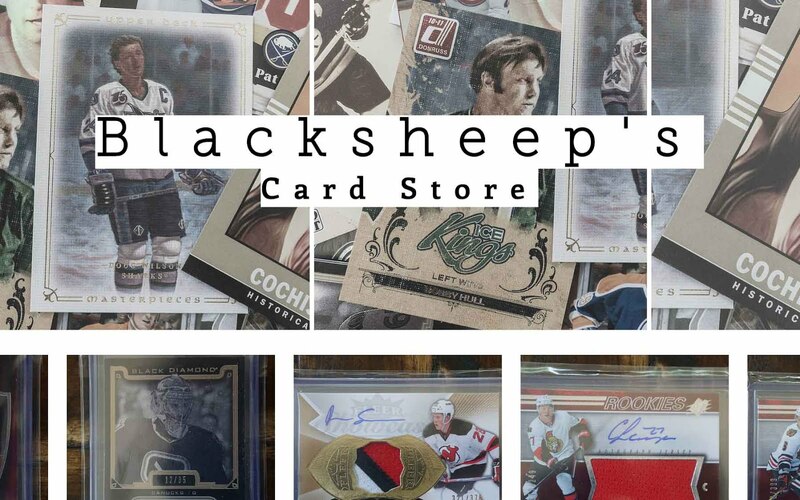 Maybe one day it will catch on, but for now it just widens the types of products available for hockey collectors to purchase - which is a good thing. The price is right for these blasters and it doesn't hurt the wallet to much to give one a try! Interesting article. thanks for the information.